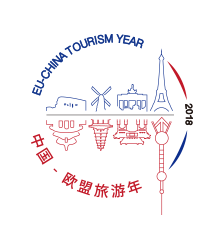 The projections were thematic for the EU – China Tourism Year. At the event there were invited representatives of the Embassy of the People’s Republic of China in Romania, the Ministry of Tourism, Bucharest City Hall, the European Commission Representation in Bucharest. The event was organized by the Ministry of Tourism and Bucharest City Hall through CREART – the Centre for Creation, Arts and Traditions of Bucharest City.